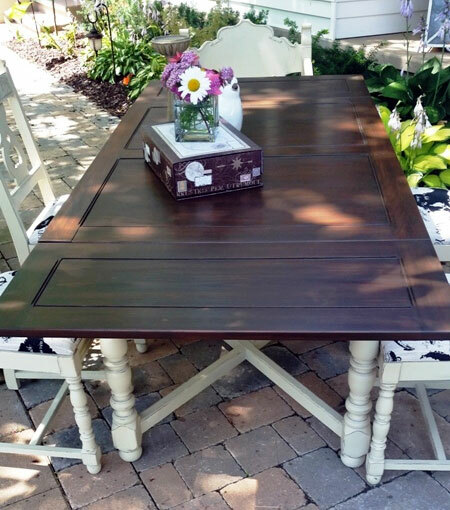 Can't get enough of this stunning refinished table by Studio Paint_ of Fonthill Ontario! I used General Finishes Gel Stain in the Antique Walnut colour!! The perfect brown ever! I then tried a product I’ve never used before but have heard great things about, the General Finishes Gel Topcoat in Satin. It went on beautifully! I applied enough to make it look wet, let it dry and applied another coat! I really like the way it turned out! !